They will do anything to make profits. The fact is the vast majority of farm corporations are family farms. USDA classifies family farms as “any farm organized as sole proprietorship, partnership or family corporation.” And therein lies the confusion. Many farm corporations are family farms. How big are farm corporations? 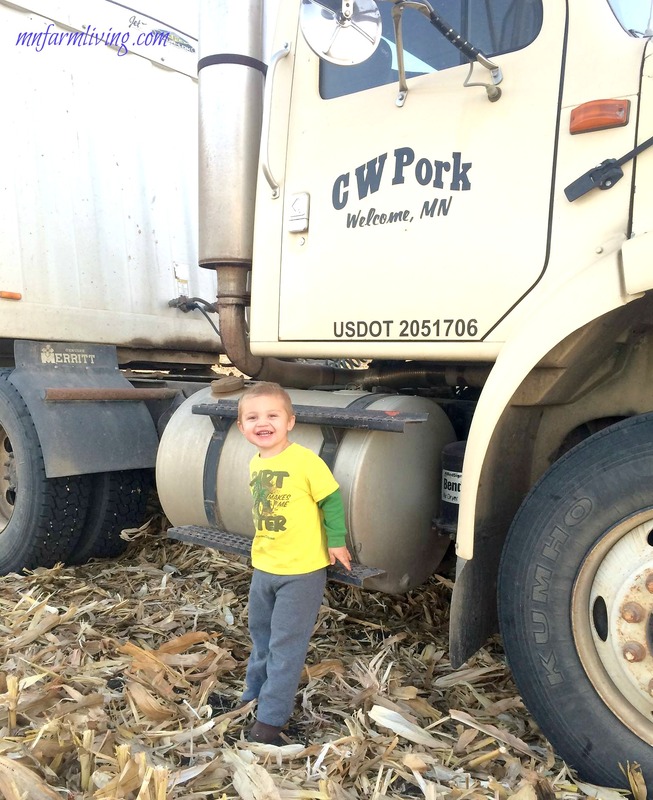 Farm corporations come in all sizes. Some big, some small. In fact, our farm corporation is a small family farm. Our “corporation” has two stockholders–me and my husband. We have one full-time employee who is employed by our corporation. In addition to our corporation, we are also a stockholder in another local sow farm corporation. The sow farm is owned by us and another 8-10 local farmers. For an outsider, it is easy to assume that “big ag corporations” own these farms because they see farm “corporation” names such as ours in the picture. But it’s just the two of us. Mr. E standing by our “corporate” grain truck. So, why did we incorporate? Farmers can choose what works best for them, whether it is the business structure, the size of their farm, the way they raise their animals or farm their land. They do what they believe in, know, and love. What are business advantages to incorporate? One advantage of a family farm corporation is the ability for our farm to continue seamlessly if another family member decides they want to enter our farming business, exit the business or if there is a death of a stockholder. At the time of incorporation, we didn’t know the future of our farm, but we knew we wanted the flexibility of continuity. Incorporating gave us the reassurance. Another business advantage is additional business deductions that were not available to us prior to incorporating. What other changes happened as the result of incorporation? The day after we incorporated, NOTHING changed on our farm in regards to day-to-day activities. We woke up in the morning, walked out to the barn and made sure the pigs had feed, just like every other day. Where things did change was in the farm office. Going to be honest here – we have more bookwork because of the corporation. We are “lucky” now to have two income tax appointments each year. (Don’t be jealous!) We have no regrets and are glad we incorporated. Do you have any questions about farm corporations?